Our Boardform Square Diamond Fire Pit Symbolizes Real Wood that is Cast into Stone for a Timeless Elegance that is Unparalleled. This Concrete Fire Pit is Custom Made to Order and is Available in Multiple Color Stain Options. 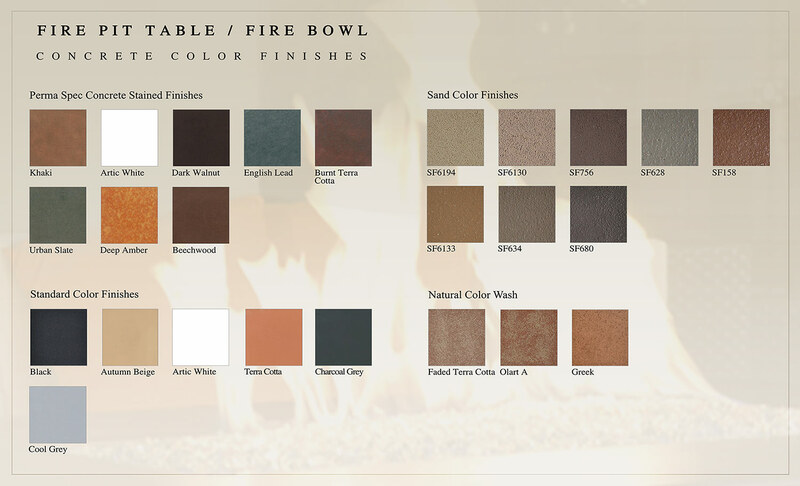 Featured Fire Pit shown in "Natural" Color. Unit Comes complete with Stainless Steel Fire Ring Insert, Gas Key Valve and All Gas Fittings Required. Available in Natural Gas or Propane. All our Fire Pits are American Made in our Home State of California.